Lenovo P70t Specifications:- Lenovo may launch another phone of its P series called Lenovo P70. 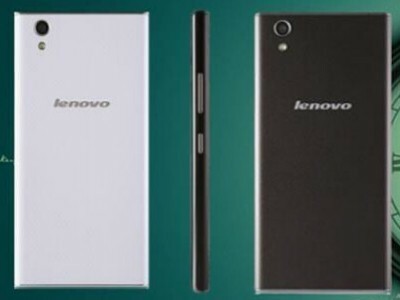 Its a smartphone you want to buy for its huge battery.It is successor of Lenovo p700 and lenevo s860. It is expected to be a mid range phone fromÂ Lenovo P70t Specifications.Â Its main advantage or attraction is its giant battery life which is said to provide 46 days of standby battery life. Lenovo with its smartphones is focusing on improving one key element that is the battery life.. Lenovo is mainly known for its PCs and Laptops and failed to make an impact in smartphone market but now lenovo is trying to make impact. is expected to be launched in January. Not only its batteryÂ Lenovo P70t Specifications are also very impressive lets have a look at them.Â Lenovo P70t is expected to be launched in January. Lenevo P70t features aÂ 5-inch OGS (One Glass Solution) displayÂ display with 720 x 1280Â resolution. It is powered by aÂ 64-bit quad-core MediaTek (MTK MT6732)Â LTE processorÂ combined with 1 GB RAM. It sports 8 GB internal storage which can be extended up to 32 GB via microSD card. There is no word about its operating system from company but it is expected to run on android 4.4 kitkat. It supports 13-megapixel rear camera and 5-megapixel front camera. It comes up with a removable 4,000 mAh battery and connectivity options like WIFI, Bluetooth, LTE, GPS and also support dual SIM functionality. It featuresÂ aÂ 142mm x 71.8mm x 8.9mm chassis and weigh 149 g.Â The chassis will have a leather-like material on the back. It will be available in two colors black and white. It supports aÂ features aÂ 5-inch OGS (One Glass Solution) displayÂ display with 720 x 1280Â resolution. Under the bonnet there is aÂ 64-bit quad-core MediaTek (MTK MT6732)Â LTE processorÂ combined with 1 GB RAM to provide fast and smooth processing. It sports 8 GB internal storage which can be extended up to 32 GB via microSD card. There is no word about its operating system from company but it is expected to run on android 4.4 kitkat. For photography purpose it supports 13-megapixel rear camera with LED flash and auto-focus and 5-megapixel front snapper. Its battery is its main attraction it comes up with a removable 4,000 mAh battery which last long up toÂ 46 days on standby and provide 15 hour ofÂ screen-on time. For connectivity it include WIFI, Bluetooth, LTE, GPS Â and also support dual SIM functionality. There is no word about its Price from manufacturer.